After nearly a year of neglecting to use the Pocketwizard transceivers I had been so excited to receive, I realized they had a second function beyond firing my (incompatible model) flash — with the right cable, they were also a remote shutter trigger. A 100% reliable remote shutter trigger! I can fire this thing from other rooms! 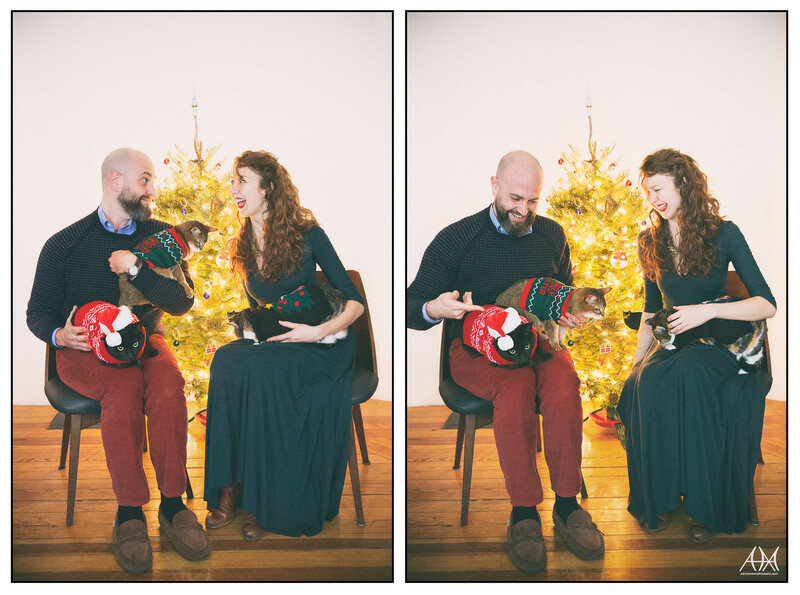 Also I can much more easily take pictures of us holding three cats at once, all of whom are unwillingly wearing Christmas sweaters/singing Santa hats, for a weird kind of Christmas card for us to send to friends and family! Wooo! Why not, right?! 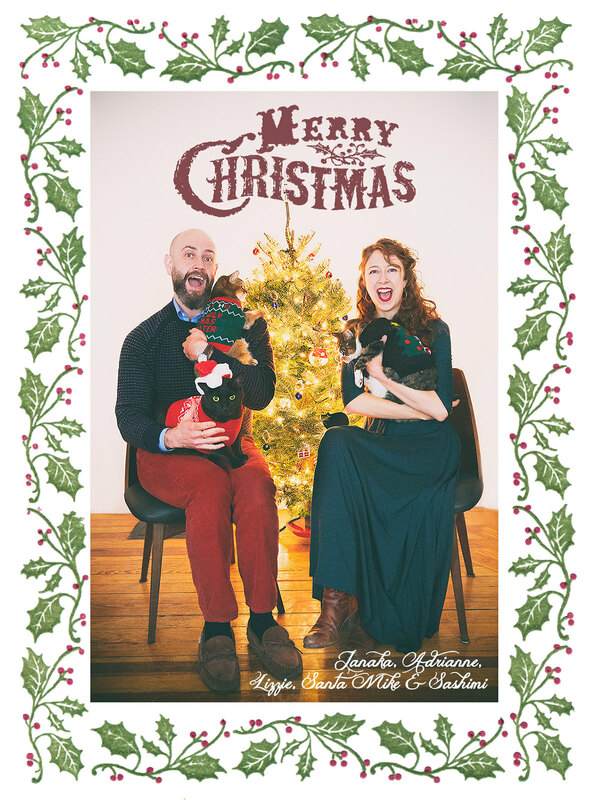 The main response to our e-card has not been "wow your tree is so cute," which it is, or "Adrianne your hair looks amazing," which for some reason it really does. It's been "uh how did you get all your cats into sweaters?" And the answer is: quickly. Quickly, quickly, quickly.